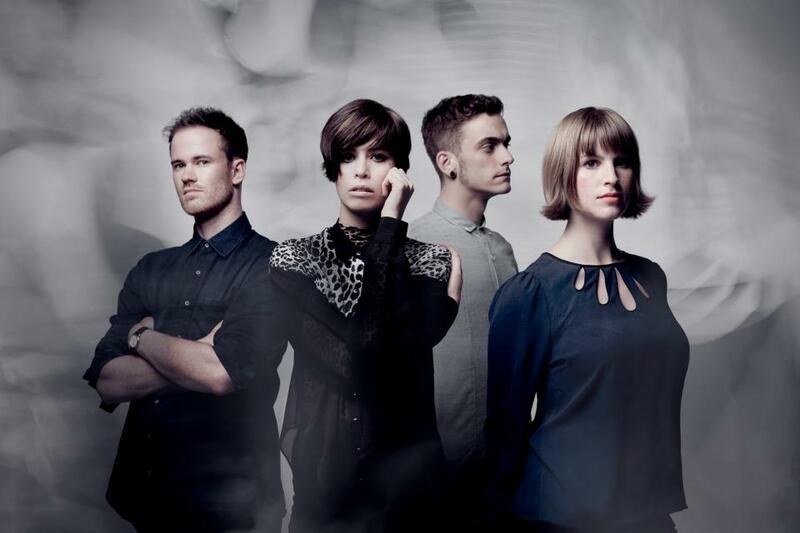 With what has been described as their most ambitious tour to date, Australian sweethearts, The Jezabels have engaged on a large scale tour of Australia. They’ve taken along with them, Canadian up and coming indie dance queen, Lights, and Triple J Unearthed High winners, Snakadaktal. The last few year for the Jezabels have been nothing short of remarkable: they’ve toured the United States, released their debut album Prisoner and been a huge part of Triple J – which in part explains their increased popularity and new fan base. This evening’s performance would be a testament to just how far and how big the group have become. From the moment that doors opened, a strong crowd packed the venue and it seemed every hipster in Adelaide decided to leave home this evening. The festivities began with Melbourne five-piece, Snakadaktal, who won Triple J’s Unearthed High in 2011 and have since been a huge presence on the music scene. The group from the beginning to end seem to immerse the crowd, with well-known songs such as ‘Chimera’ and ‘Air’ receiving a very strong response from the audience. Perhaps it was the fact that it was a Saturday night, but the crowd appeared to be extra rowdy and excited this evening. With the night moving along, the lights dimmed and young Canadian dance sensation, Lights (aka Valerie Poxleiter) made her way onto stage with her band. The young songstress immediately displayed a high level of energy which was backed with some great lighting effects, which seemed to really add a whole new atmosphere to the venue. As you can also imagine, all the rowdy fans had broken out into uncontrollable dancing. For those of you who have never heard Lights before, try to imagine a mix of New Order, Bjork and Skrillex. Each song seemed to radiate more passion, with crowd interaction also playing a rather large part (of course, Lights saying how excited she is to be in Australia garnered a very enthusiastic response). Promoting her new album Siberia, the title song naturally got the biggest audience response of the set. Lights did everything an opening act should do and more, perhaps even outdoing the main act! It was a pleasure to see Lights and a welcome surprise – especially as I had no idea who she even was before I went to the show. The stage was now set for The Jezabels, and I do mean set. Three large arches were strategically placed around the stage, making the venue feel like a stadium, which seemed to indicate just how big the band has become. The venue went dark and the Sydney four-piece made their way onto the stage, which reared a loud response from ultra-rowdy crowd. Opening with ‘Endless Summer’ the crowd was instantly immersed, although opening with their most well-known song seemed a bit strange, at least to me. Continuing through their set and showcasing the majority of their first full album, the performance saw front woman Hayley Mary displaying high levels of energy and constantly moving around the stage and even getting into the crowd toward the end of the set. However, the constant stage lighting effects and video backdrops seemed to take away from the performance of the band. Often being too much and seeming over the top, it might work for bands like the Flaming Lips or Nine Inch Nails, but in the case of the Jezabels it didn’t seem to quite fit with the music. The Jezabels gave a strong and energetic performance which seemed to please the crowd and delight many fans; it would be nice to see the group perform without all the fancy backdrops as their performance is more than enough to entice audiences without any theatrics needed. The Jezabels’ tour continues in Perth tonight, before the band play in Brisbane and Sydney later this week. Check the facebook event page for all the info! This entry was posted in Music and tagged adelaide, lights, snakadaktal, the jezabels, thebarton theatre. Bookmark the permalink.